It’s not often that my grandmother and I have something in common. Oh, I mean we both love chocolate chip cookies, are head-strong, and love a good book, but I’m talking about choices in music, movies, and television. This one thing though, Dancing With The Stars, we agree on and can’t get enough. Whether it’s Dancing with the Stars or Dancing with the Stars: Juniors, I’m in awe of the music, the people, and the insane dance moves we see on a weekly basis. 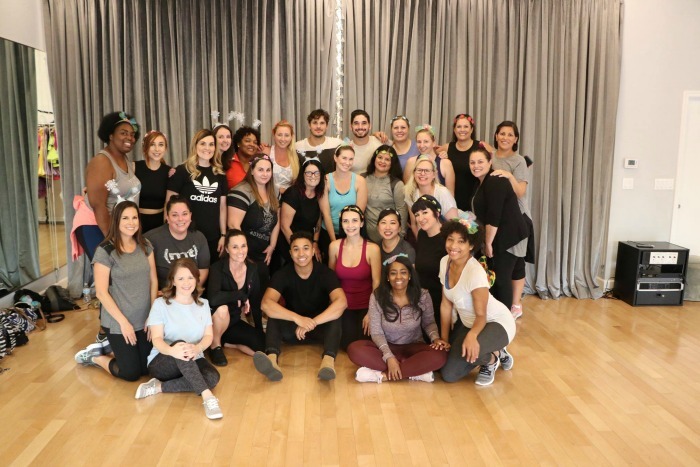 Last week, I might have done something a million girls would have given their right arm to do…I danced with three, count them, three, Dancing with the Stars pros! 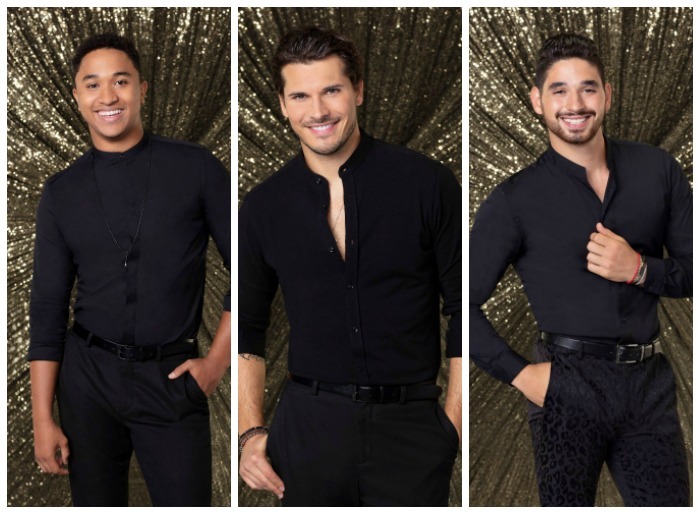 I’m talking about Dancing with the Stars pros and Dancing with the Stars: Juniors mentors Brandon Armstrong, Gleb Savchenko, and Alan Bersten. And while I will certainly bring you photos (AND VIDEO: OMG – stay tuned for a future post on this alone), today I’m sharing our exclusive interview, a few photos, and some incredible scoop on coming up episodes! 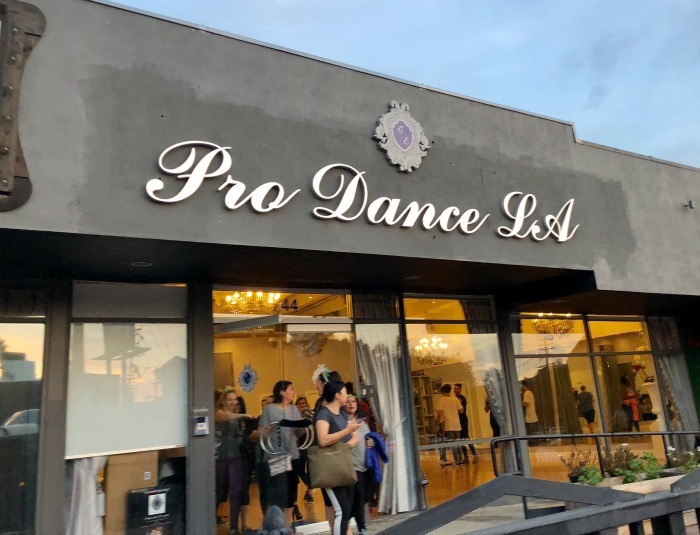 We headed to PRO DANCE LA, where our lesson and interview was to begin. Located in LA, this dance studio is owned & operated by Gleb Savchenko and his wife Elena Samodanova. Gleb of course is a professional currently on Dancing with the Stars and both he and his wife have been part of “So You Think You Can Dance” and “Dancing with the Stars” throughout the world. They offer both child and adult lessons, and while there are many instructors, private lessons are available. Just a quick glance at the calendar and I noticed that Gleb was teaching one of the children’s classes today. So if you are a mega fan and are heading to southern California, why not book a class? Talk about fun! I’ll share more about my lesson next time. Get Social with Pro Dance LA: On Facebook, Twitter, Instagram and learn more about what they have to offer here. Are you ready? The six remaining couples advance to the “Semi-Finals” as the competition heats up in anticipation of next week’s crowning of the coveted Mirrorball trophy on “Dancing with the Stars,” live on MONDAY, NOV. 12 (8:00-10:00 p.m. EST), on The ABC Television Network, streaming and on demand. I was very curious about their favorite moment from the show and took the opportunity to ask them. Both Brandon and Alan answered. BRANDON ARMSTRONG : My favorite was this season, my first season as a pro. I think our favorite moments, we did an Argentine tango, that was very much my style. It wasn’t traditional. It was to a different song, different type of vibe. So, that’s definitely my style as a pro on the show. And so, I was really excited. That was one of my best. ALAN BERSTEN : Honestly, my best moment was joining the show. You know, it was a dream of mine when I was younger. I was watching the show with my grandpa and it was so nice to like, think oh, maybe one day I can be there. And then one day I got here and it’s honestly a dream come true. So, honestly, every moment on the show is my favorite moment as cliché as that sounds. We were all so interested in the dynamics of Dancing with the Stars: Juniors. These mentors talked about working with the kids. ALAN BERSTEN : When we’re on the show with adults there’s a lot of pressure because we’re in it. We’re in it with them. We’re going on this journey with them. With the kids, we’re able to kind of stand back and let the kids go on a journey and really help as much as we can without actually being in it. BRANDON ARMSTRONG : I do have to admit, I think it was more rewarding for me, maybe this is just me but this is my first season on the adult show. But I think it was more rewarding for me to watch my kids do well then it would be for myself to do well. So, I think for me, it was more rewarding. I think most of us would agree that to be able to sit back and watch your kids when they finally execute it wellis a million times more rewarding. It was clear that these guys were so proud of the kids on the show. Almost like proud parents, though Gleb is the only dad in the trio. 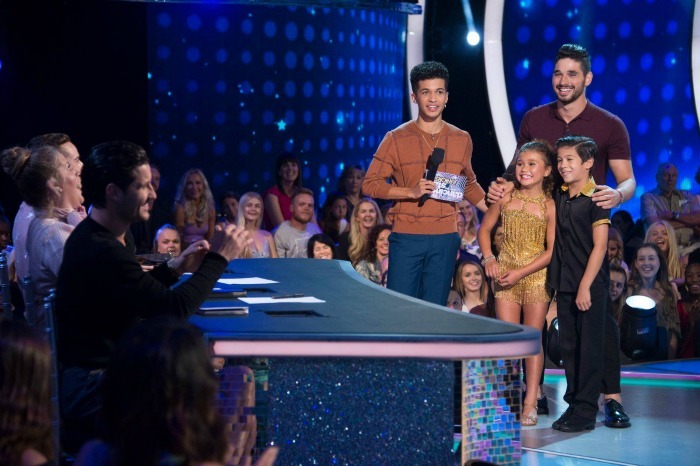 The seven remaining celebrity kids have each been tasked with choosing the song they will dance to as “Juniors Choice” night comes to “Dancing with the Stars: Juniors,” SUNDAY, NOV. 11 (8:00-9:00 p.m. EST), on The ABC Television Network, streaming and on demand. While some of the songs chosen were favorites of the celebrity kids, others held some kind of special meaning to them. Each couple will perform a Charleston, jazz, cha cha or samba. At the end of the night, there will be an elimination. The studio audience vote is combined with the judges’ scores to determine who goes home at the end of each episode. Hosted by “Dancing with the Stars” season 25’s Mirrorball Trophy winner Jordan Fisher and finalist Frankie Muniz. The guys had a message for kids who want to be dancers in general and more specifically kids who are told they can’t dance for whatever reason (too tall, etc). In all honesty, their advice is good for any child, any adult, anytime, anywhere. BRANDON ARMSTRONG : Never give up. GLEB SAVCHENKO : Never give up. Just push forward and anything is possible. ALAN BERSTEN : If you can dream it, you can achieve it. 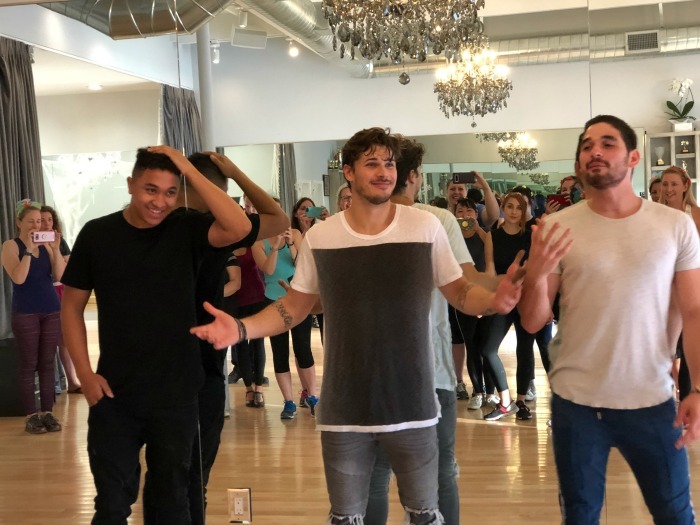 GLEB SAVCHENKO : I grew up in Moscow with no money in literally one-bedroom apartment with my parents, and now I do the most amazing show in the whole world, where everyone’s watching. So, just dream and work really hard. Never give up. Don’t let anybody push you down. Stand your ground and just pour your soul and heart into what you do. The tour is hitting the road beginning December 15th in Columbia, South Carolina featuring Season 27 dancers. Dancing with the Stars: Juniors” airs Sundays at 8|7c on The ABC Television Network or streaming or on the app. / “Dancing with the Stars” airs Mondays at 8|7c on The ABC Television Network or streaming or on the app. What a neat experience! I don’t watch Dancing with the Stars very often but when I do, I SO adore it. I’ll be sharing more after the new year! And video (oh boy)!